Complaints are healed by remedies which cause similar symptoms. Search in Complaints, in Symptoms and in Constitutional. The remedies are displayed in alphabetical order. A maximum of five distinctive symptoms appear. Distinctive symptomes are more significant than others. Two remedies can be compared. Remedy information with over 100 remedies. 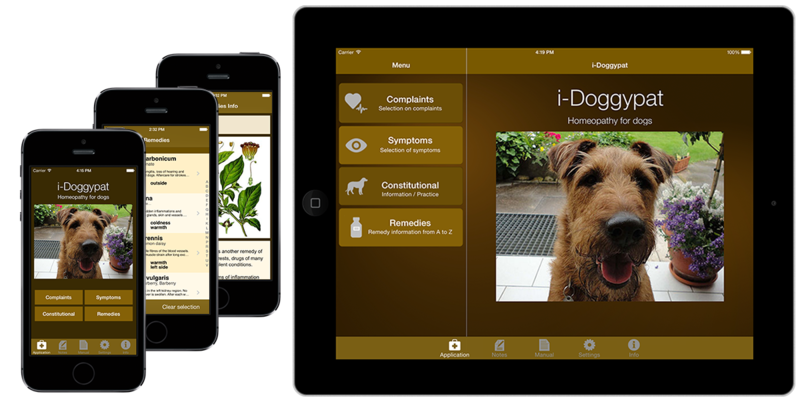 This software is an alternative but no substitute for a visit of a veterinarian. Consult with health questions or discomfort always the doctor of your trust! Copyright © 2014 RBB Service GmbH.